January 1 holds the promise of fresh starts and bright beginnings, which often manifest in that beloved annual tradition, the New Year’s resolution. 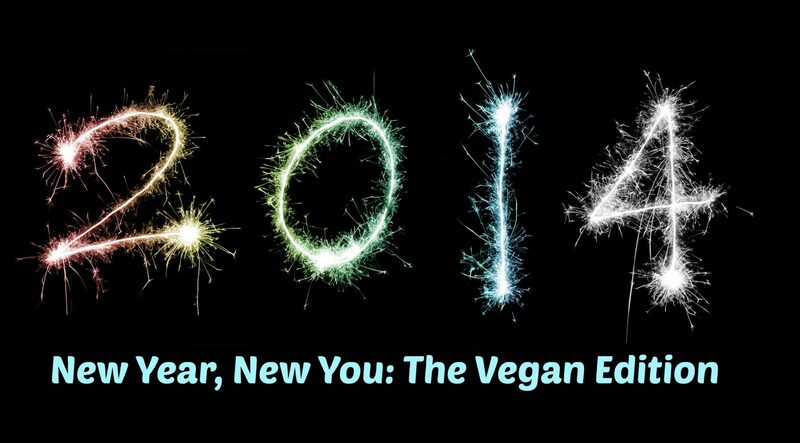 If 2014 is the year you’ve pledged to lose weight, usher in healthier eating habits, and increase your energy levels, there’s good news: Going vegan can help turn every one of those good intentions into reality. If you’re ready to reboot and revitalize, follow this simple, four-step game plan for a happy, healthy new year. There’s nothing complicated about a vegan diet, but as with anything new, the unknowns can be daunting. Before ditching meat and dairy and embracing the bounty of the plant kingdom, take the time to educate yourself. A super place to start is with Yummy Plants founder Rebecca Gilbert’s Vegan 101 talk. It’s loaded with easy-to-digest basics, including information on transitional foods, plant-based calcium and protein sources, and tips on navigating omnivorous restaurant menus. Having a buddy—or a whole bunch of buddies—to provide moral support as you explore veganism can really enhance the overall experience and increase your odds of sticking with it. Begin by browsing Yummy Plants’ forum for topics that are most interesting and relevant to you as you embark on your journey—you’ll find good company there! Next, research your local Vegan Meetup group, vegetarian society, or online forum to make new friends who share common interests. Typical events include restaurant outings, potluck parties, lectures, and outdoor activities. If a local veg community doesn’t exist, be the first to start one! If you love to cook, head to your local library or bookstore and check out the vegan cookbook section for delicious inspiration. Try bestselling author Isa Chandra Moskowitz’s newest, Isa Does It, for quick and savory dishes, or Fran Costigan’s Vegan Chocolate if you’ve got a sweet tooth. When you get the craving for a meal out, check happycow.net for the nearest veg restaurant and invite friends to join you on your dining adventure. And don’t forget to explore your nearest farmer’s market where you’ll discover a rainbow of tasty vegetables and fruits that add visual appeal to every meal. At the three-week mark, re-assess. Do you feel lighter? Have your energy levels increased? Do you crave fresh, wholesome foods? This is your body’s way of thanking you for filling it with clean fuel, so keep it up! With supportive community and resources galore at your fingertips, the benefits of plant-based eating can be yours all year-round. 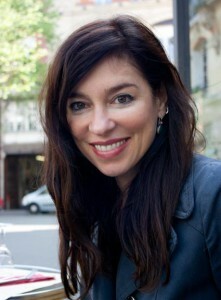 Aurelia d’Andrea lives in Paris, where she writes, bikes, and eats far too much chocolate. Her new book, Vegetarian Paris, published by Vegetarian Guides, is now available.